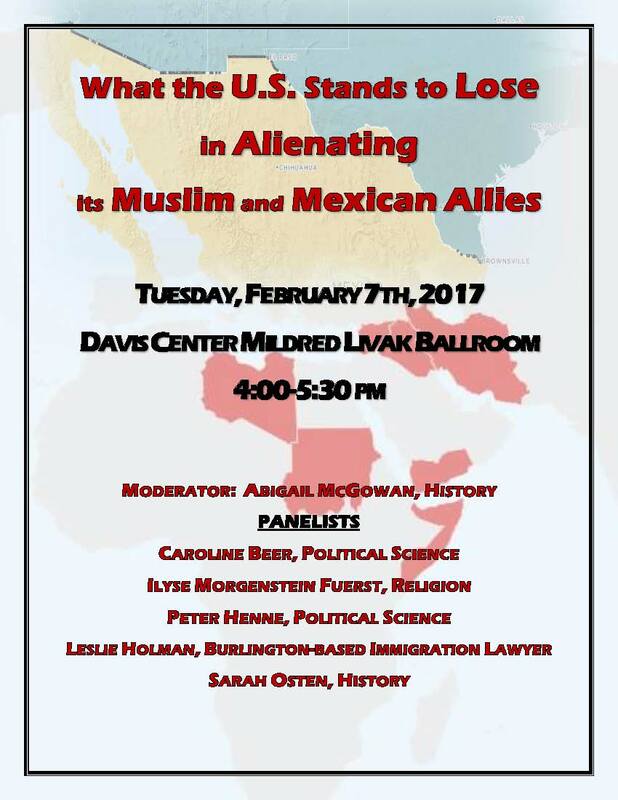 An interdisciplinary panel of UVM faculty, plus prominent local immigration attorney, Leslie A. Holman, will consider the many potential ramifications of the Trump administration’s foreign policy, which has thus far particularly targeted Mexico and numerous Muslim majority countries, and in doing so has likely undermined longstanding US alliances and long-term diplomatic efforts. This includes the recent executive order that restricts Muslim migration to the United States, but our panelists will also consider the broader implications of these recent diplomatic maneuvers by the White House and identify risks for our country that come along with them. Rutland rallies for refugees after Trump's order. In Burlington, immigration attorney Leslie Holman was inundated with information and calls for help. "I honestly don’t know that I’ve slept in a few days," Holman said, "because my clients are scared." Right now, immigration lawyers told Mashable that government officials often ask for immigrants and foreign travelers to hand over their phone so the official can scroll through social media information and more..."Really what you're getting into is whether or not this is a warrantless search," Leslie Holman, a recent president of the American Immigration Lawyers Association, told Mashable. "It violates an expectation of privacy."